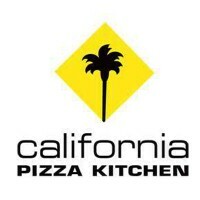 California Pizza Kitchen (CPK) is a global restaurant franchise that is known for their open kitchen concept. Their menu is inspired by a local California twist on global flavors. As the brainchild of former prosecutors Larry Flax and Rick Rosenfield, the restaurant rose from obscurity right after establishing its pioneer Beverly Hills branch back in 1985. From serving iconic pizza recipes, CPK transformed into a global dining brand. The restaurant chain has rapidly grown its portfolio to over 250 restaurants, operating in thirty U.S. states and eleven countries. To date, their current workforce is approaching more than 14,000 employees. As an equal opportunity employer, CPK offers a wide range of competitive benefits such as healthcare, paid meals, 401(k), anniversary gifts, and numerous advancement opportunities within the organization. CPK is a top choice for job applicants as they are known for prioritizing employee welfare. The company’s open door policies, career growth opportunities, and thrust towards work-life balance are among the many reasons cited for its strong employee satisfaction. How old do you have to be to work at California Pizza Kitchen? The state-mandated minimum legal age requirement must be met to apply for certain positions such as for servers and bartenders. Otherwise, a work permit may be required for students and all applicants under the age of 18. Cook: A Kitchen Cook is responsible for the daily preparation of dishes, desserts, and other menu options found under the restaurant menu. He is required to comply with CPK’s food quality standards and must maintain the cleanliness of their workstation at all times. Server: Restaurant Servers are assigned to attend to customers by taking their orders, delivering food, and answering general inquiries. They are expected to know the ins and outs of the restaurant menu by heart and be able to provide suitable recommendations when prompted. Busser: Bussers are in charge of clearing tables and keeping dining areas clean. They should be able to do so in an efficient manner to keep up with the flow of turnover per customer. They are also expected to assist customers and other staff as requested. Dishwasher: A dishwasher is a kitchen employee tasked with keeping food preparation equipment and tools, cookware, dinnerware, silverware, and other kitchen utensils clean and washed. He is also expected to assist in cleaning other kitchen workstations. He should be able to work independently in ensuring that the kitchen and dining room staff will not run out of items to use. Host/Hostess: Hosts or hostesses serve as the first point of contact between the customer and restaurant. They are tasked with greeting the customers and seating them according to the dining room plan. In case seats are not available yet, they should be able to manage the waiting list and make sure the customers are comfortable as they wait in line. Bartender: A bartender is responsible for the preparation of alcoholic and non-alcoholic beverages for customers. He may or may not work independently from the dining room wait staff in serving the customers’ orders. He should likewise be able to give appropriate drink recommendations based on the customers’ preferences. Help Desk Analyst: The Help Desk Analyst provides technical assistance and troubleshoots hardware and software issues in both corporate and restaurant systems in a timely manner. This position shall also be the liaison in direct coordination with service providers for infrastructure support and replacements when necessary. Restaurant Systems Supervisor: A Restaurant Systems Supervisor is the technical lead responsible for the programming and troubleshooting of internal restaurant systems. He is expected to work in coordination with his own team in fulfilling the daily requirements set by the Operations, Marketing, and Planning teams. Kitchen Manager: The Kitchen Manager is responsible for the management, supervision, and training of all kitchen personnel. He is expected to have a hands-on approach in managing shifting schedules to ensure that daily manpower is adequate enough to match customer demand in peak and lean seasons. Restaurant Manager: A Restaurant Manager is responsible for overseeing restaurant-wide departments including operations, marketing, human resources, and planning. He is accountable for implementing restaurant policies, managing budgets, personnel supervision, performance monitoring, and ensuring positive sales revenue in his respective branch. To apply for a job in a California Pizza Kitchen branch, simply file an online job application on their career portal. You will be asked to indicate your basic information, specific positions you’re applying for, weekly availability, and job experiences. You may also submit employment forms to your desired CPK branch. Job availabilities vary so submitting an online job application is recommended to keep yourself posted on openings. For walk-in applicants, avoid filing an application during peak operating hours. Prepare a detailed resume and electronic signature before filling up your online application. This will make it faster for you to complete the form. While you are online, you can research on the company in case you are asked. The CPK management is looking for individuals who are able to multitask in a busy environment. Your resume should highlight jobs, volunteer work, and related activities. Your interview schedule will be available within a few weeks depending on the branch. The interview process is usually on a one-on-one basis with hiring managers. Be ready for a short test for basic competency and prepare for questions about past work experiences and hypothetical problems that may occur in the restaurant setting. California Pizza Kitchen cultivates an open culture based on the core values of R.O.C.K. (Respect, Opportunity, Communication, Kindness). The working environment shapes a unique platform to set employees up for career growth. With its longstanding CEO G.J. Hart in retirement, the company is currently undergoing a transitory period with the successor, Jim Hyatt. Only inaugurated to office in early 2018, the CPK management is set for a major rehaul and revitalization. Still, the iconic restaurant chain shows no signs of stopping anytime soon. The brand continues to bring new innovations to their long line of non-traditional pizza recipes by diversifying their menu offerings and services. CPK gives back to its communities through its corporate social responsibility arms — FUNdraisers, In-kind Donations, and the CPK Foundation. Together, they have raised over $3 million for various charity organizations, local educational institutions, and advocacy groups. 1 How old do you have to be to work at California Pizza Kitchen?